Fancy a cool Clubbable snapback? During the launch party in Cannes during the film festival the snapbacks were in high demand and people were bidding high for them. Now there are 3 ways for you to be lucky enough to get your hands on one. You can share this or some other photo and make sure to tag it with @clubbableapp and #WinClubbableSnapback on either Facebook or Instagram and you can win one. If you manage to get 3 friends to get the app and successfully go out you will get one for sure. Just send us their names in the feedback form in the app when they have gone out. You can also buy one for £25 including shipping within the UK. Just message on the website or in the app. 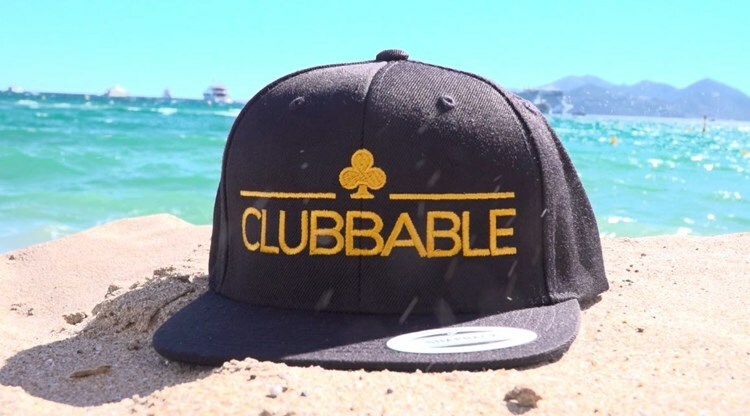 If you tag a photo with @clubbableapp where you are wearing one of these snapbacks we will feature you on our Instagram.